Celebrate Team USA with Smart Bottoms Glory! 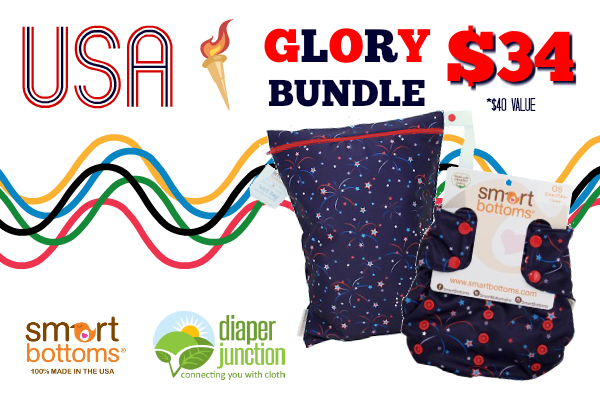 Your baby can proudly sport red, white, and blue with this limited edition Glory bundle from Smart Bottoms! This patriotic bundle has a retail value of $40, but is available for a limited time for just $34! We love offering our customers a good deal, so we just couldn't pass up another opportunity for a mystery grab bag. 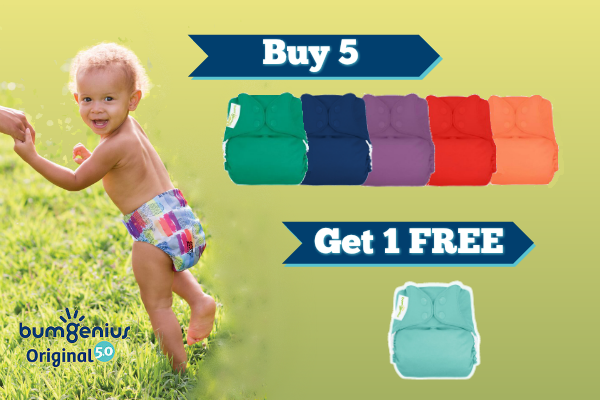 This time around you can get 2 all in one diapers with natural fibers, in your choice of color family, for only $45. This offer has a guaranteed minimum value of $57.95--that's a savings of over 20%! 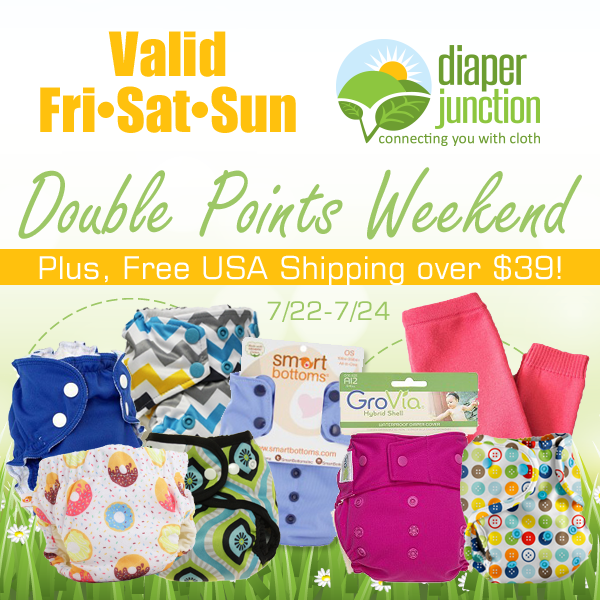 Save on bumGenius Original Diapers! 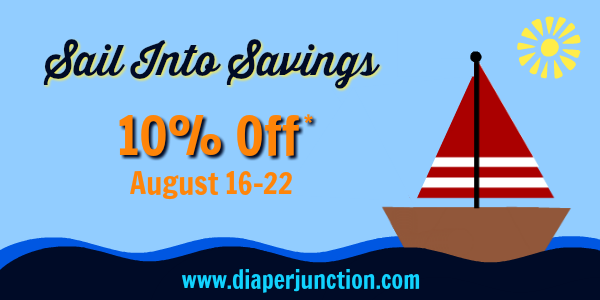 Now is the time to stock up and SAVE on the highly-rated bumGenius Original 5.0 Diaper. These stay dry pocket diapers are the quintessential one-size diaper and a must-have for any cloth diaper stash. 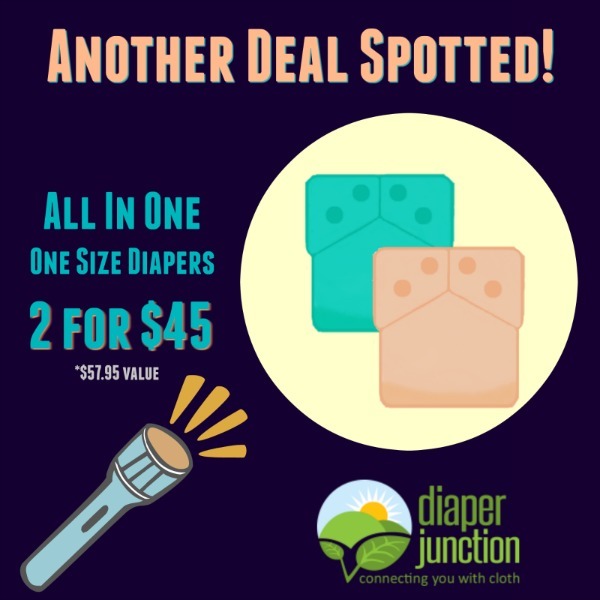 With this deal, you purchase any 5 diapers in the color or prints of your choice, then you will receive a FREE solid color diaper of your choice. Best of all, this offer ships to your home for FREE! We are pleased to announce we will once again be participating in the GroVia Retailer Appreciation Event on August 1, 2016. So what exactly does this mean? 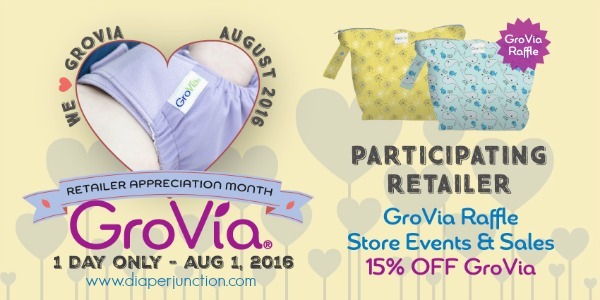 It means we get to offer our customers special savings on GroVia diapers and accessories PLUS we will have exclusive giveaways for our customers! All orders placed today though Sunday at midnight est will receive DOUBLE reward points. Reward points are then redeemable for Stash Cash! 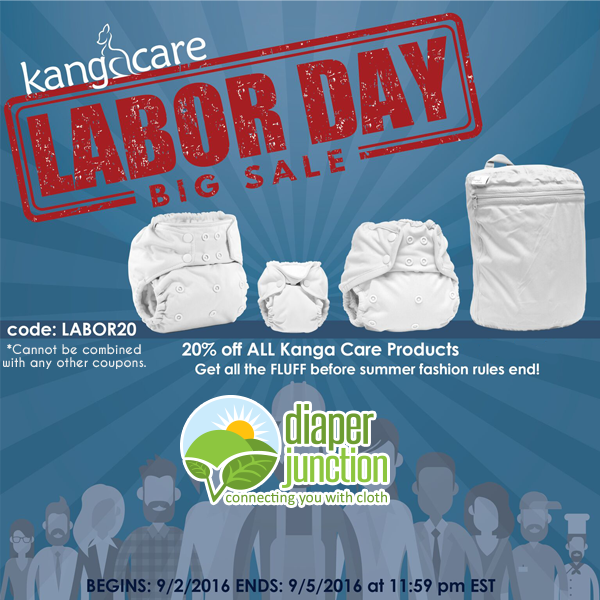 Diaper Cover Grab Bag Sale, 2 for $25 while supplies last! Mystery Grab Bag Diaper Covers - Just 2 for $25! Do you love a deal? Then our mystery grab bag diaper covers are just for you! 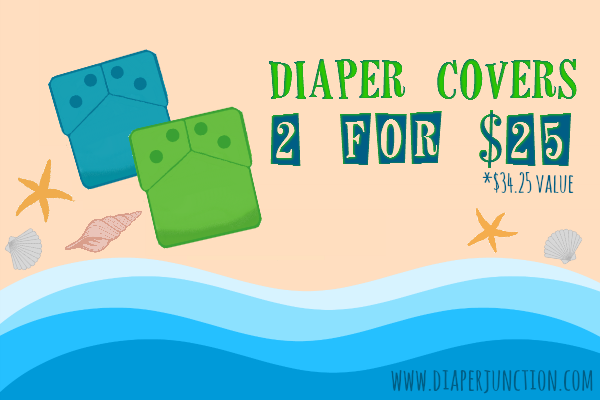 Receive 2 name brand, highly-rated one size diaper covers with a minimum value of $34.25 for just $25.00-that's a guaranteed savings of over 30%! Our grab bag includes a mix of prints and solids, as well as limited edition and exclusive diaper prints. Get ready to shop til you drop because offers like this don't come around often. This weekend, June 24th through June 26th we're offering FREE USA Shipping on ALL orders! No coupon code necessary. 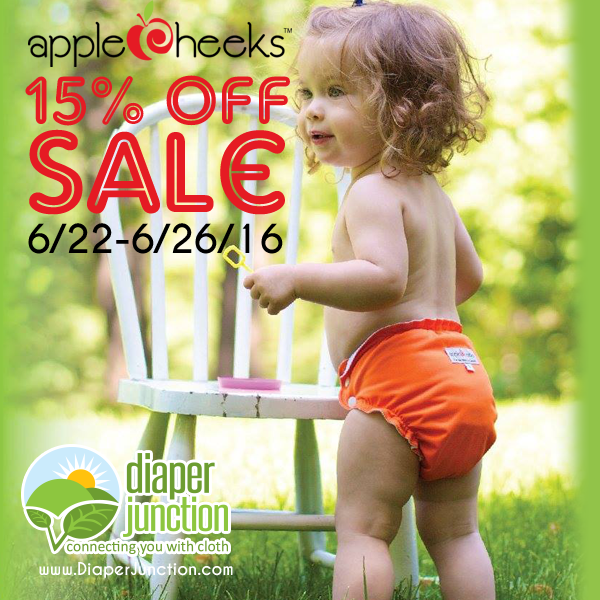 AppleCheeks Cloth Diapers & Accessories 15% OFF! AppleCheeks is among one of the most popular cloth diapering bands on the market today. If you've been curious about AppleCheeks and have been tempted to buy one, or two, then today you are in luck. Memorial Day Savings - Save 10% off through May 31st! We're celebrating Memorial Day early by kicking off our Memorial Day Sale! 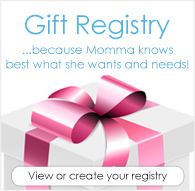 Save 10% off your favorite brands PLUS receive Free USA Shipping when your order totals $39 or more!